Canada’s best-selling car—in Sedan and Coupe format—is getting some mild changes for the 2019 model year, including a subtle cosmetic update and greater availability of the company’s Honda Sensing suite of advanced safety driving aids. All versions of the Civic Sedan and Civic Coupe receive restyled front fascia, a chrome strip on the side mirror caps and on the sedan’s rear bumper as well as new alloy wheel designs. The Civic Touring gets an upgrade from 17- to 18-inch wheels. 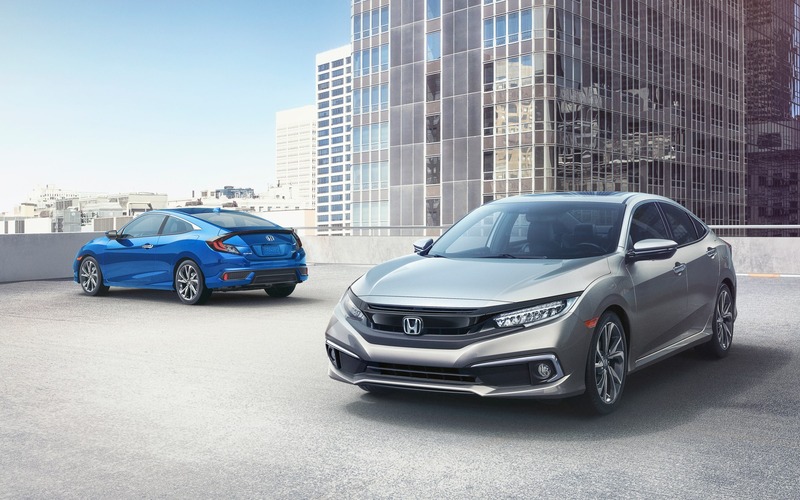 A new Sport variant is now available for the coupe and the sedan, as it was already available on the Civic Hatchback. Slotting in between the EX and Touring trim levels, the Civic Sport benefits from piano black exterior trim, black 18-inch alloy wheels, a rear bumper similar to the one found on the Honda Civic Si and a rear spoiler on the sedan’s trunklid. Both the six-speed manual and the continuously variable automatic are available with the Sport trim. The Civic Sport is also the first of the 10th-generation model to boast a revised infotainment system with seven-inch touchscreen, Apple CarPlay and Android Auto integration as well as—you may applause—a physical volume button. Honda Sensing is now included as standard on all trims of the Civic Sedan and Coupe, save for the Si. Pricing for the 2019 Honda Civic hasn’t yet been disclosed. However, due to the new safety features, we can expect a price hike of a few hundred dollars, which means a base MSRP of about $17,000 before freight and delivery charges.